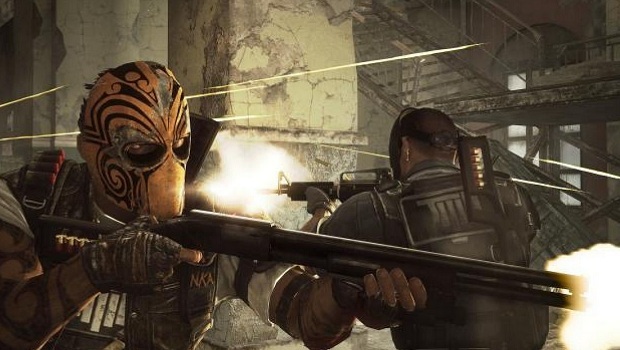 In case you needed reminding of what you're going to be doing in the upcoming Army Of Two: The Devil's Cartel, then this trailer makes it totally clear. You're going to be shooting lot of bullets at various bad guys (for some reason, not killing the scary massive dude with the machete) and blowing stuff up. Considering The Devil's Cartel is a kind of quasi-reboot for the series, it'll be interesting to see if EA's upcoming title will change any core mechanics or if it's just a tonal shift. My guess is that there will be less snappy one liners and more blowing stuff up. Any of you guys interested in checking out The Devil's Cartel in March?